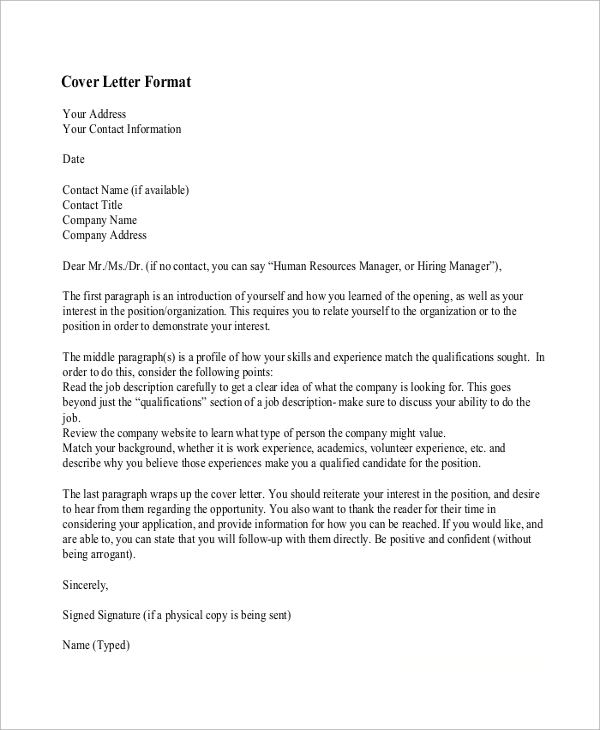 A cover letter is different from a resume, and it is a document that introduces you to the employer and states why you are a perfect candidate for a particular position. The cover letter will thus present a candidate’s intentions, availability, and qualifications to a prospective employer. It is the document that can present you in the best possible manner before the prospect employers. 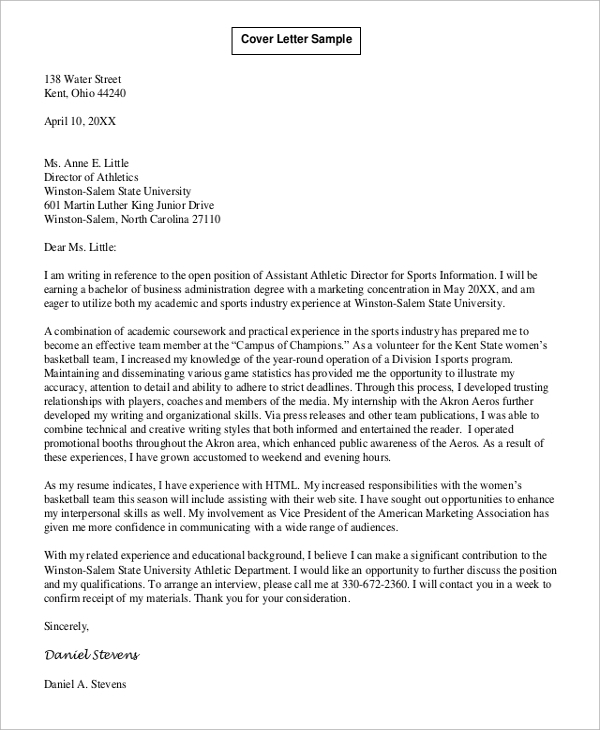 A cover letter will always be marked for personalization, as opposed to a resume that will be a general document that can be presented for all kind of jobs. 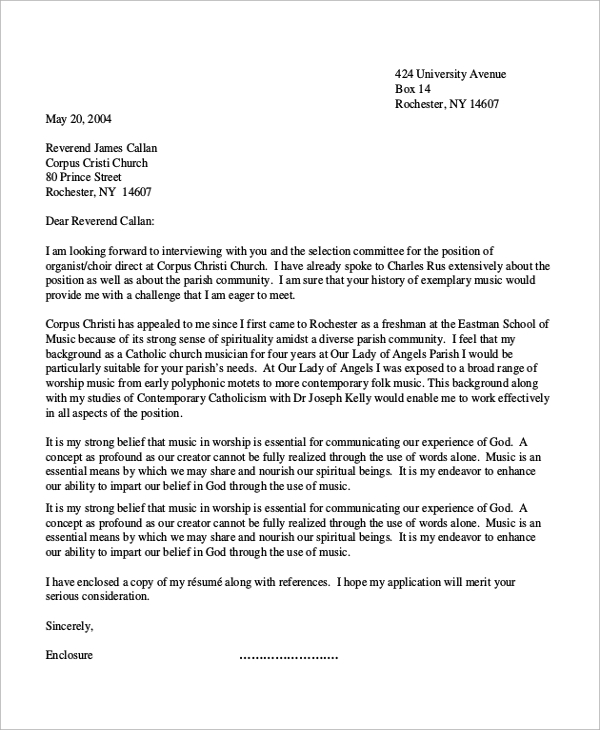 Check out these Cover Letter Samples and get yourself that dream job. 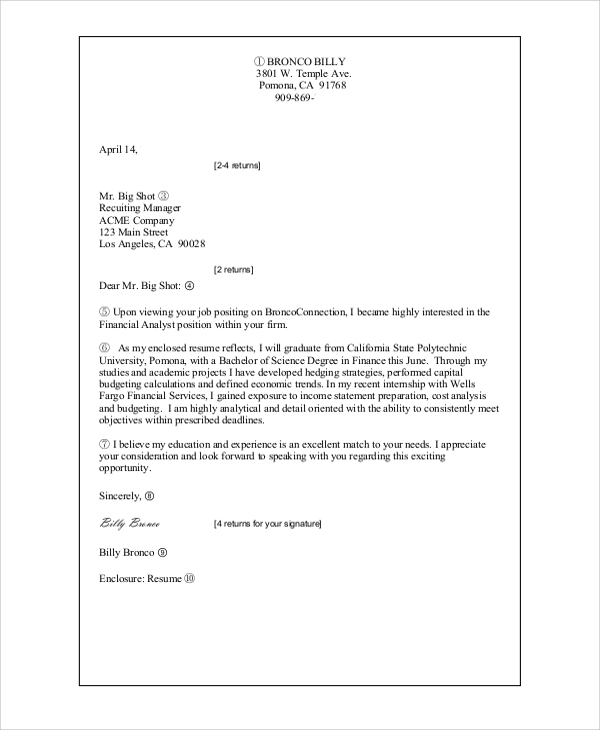 The following document presents the various cover letters that are suited for specific jobs. The positions covered in the document include that of veterans, student employment, athletes, international students, and international work experience. Each offers a different way of presentation to make a strong impression with the employer. Today, most cover letters are asked as email documents. Consequently, cover letters for emails need to be highly precise while being able to become an impressive one to one communication between the employer and the candidate. This document offers instructions on how to go about the content and the way to present it in a professional format. In several cases, candidates are asked to support their resume with a cover letter for the job. This means that the cover letter here will be a guiding document to know whether the employer will take further interest in checking out your complete resume. While this saves time for the employer, it also becomes an opportunity for the candidate to place himself/herself as the best candidate for the position. A cover letter is not always required but if presented, vastly increases your chance of being selected for the interview. 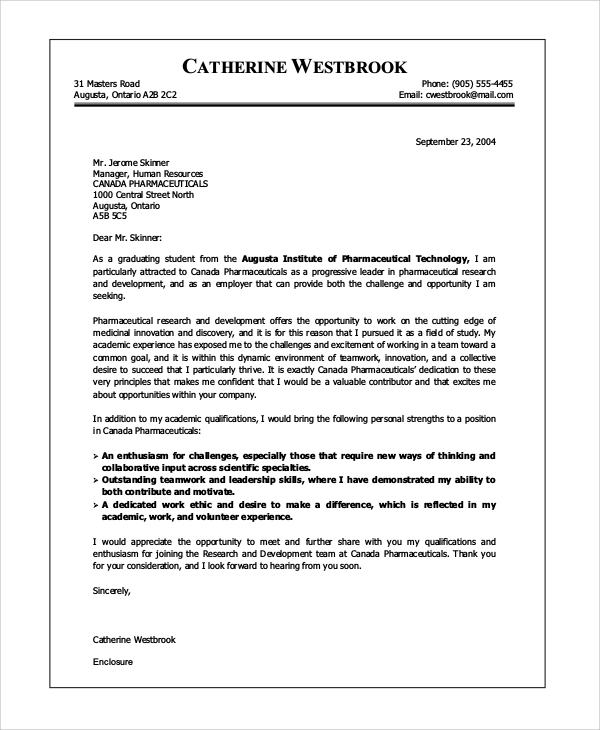 Nursing is one of those fields where you will want to include a cover letter. 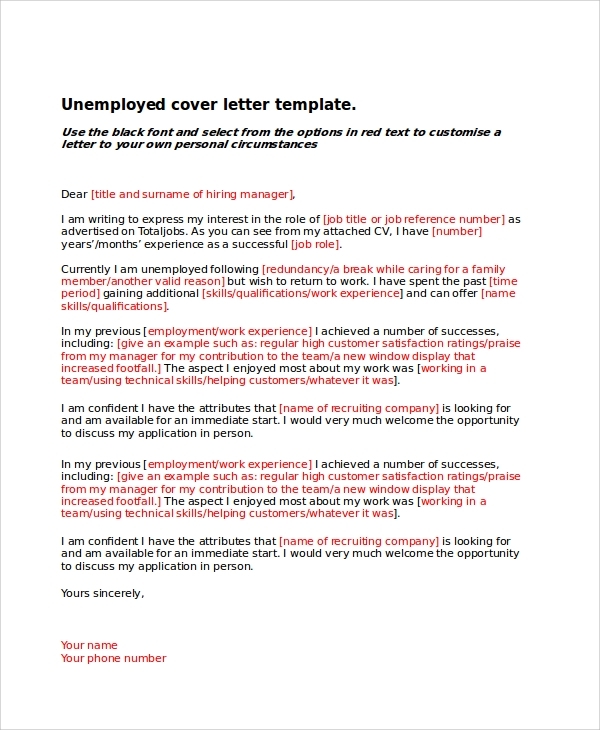 For placing yourself above the hundreds of other candidates applying for the job, the cover letter will act as a tool to impress and bring your candidature into focus. Check out this sample. This cover letter sample for the post of a medical assistant carefully meets the necessity of the document. 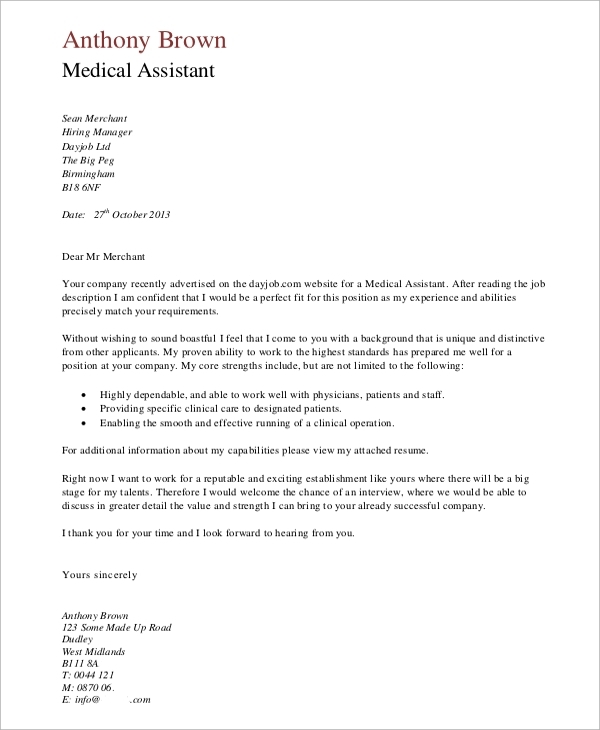 The cover letter here not only presents the personal details of the candidates but also include other information that cannot be presented in a CV but is relevant for the position. A cover letter can be presented by anyone who is going to apply for a job, regardless of the position and the competition involved. 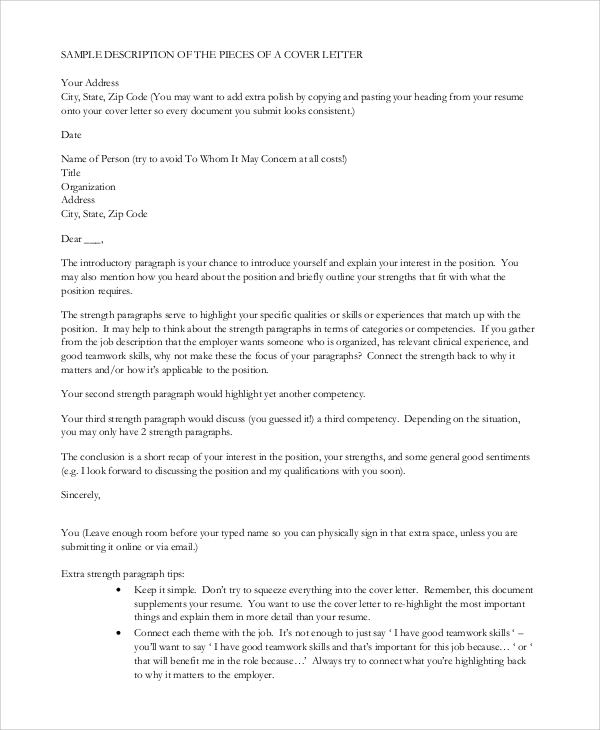 The above Sample Cover Letters resume should help you in developing an idea on what to write and how to formally present your candidature for a job. Edit them accordingly to make a mark.